Although the tyrants in government are the ones who enforce the insane laws that are thrust upon the general population, the masses who loudly support the oppression are the ones who are responsible for its continuation. 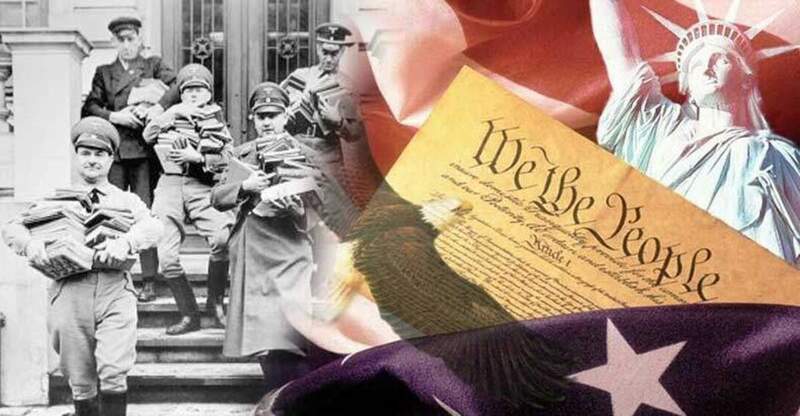 As a recent study revealed, the average American is more tyrannical than ever. According to a recently released Harris Poll survey, the number of Americans who would support the banning of books has doubled between the years of 2011 and 2015. 28% of the 2,244 U.S. adults surveyed answered yes to the question “Do you think that there are any books which should be banned completely?” This same question was answered yes just 18% of the time back in 2011 when the survey was taken last. “While it’s still a minority perception … I felt that from 18 to 28 percent in just four years was a rather surprising growth,” Harris Poll Research Manager Larry Shannon-Missal told Library Journal. Some of the questions were relating to what children should be able to read in school, while others asked which books should be taken off the marketplace entirely. What was also interesting about the study was the fact that 71% of those surveyed, even those who did not support the banning of books, were open to books being rated in a way similar to movies. Also, it seemed that many people wanted to ban books that were controversial and opposed their religious beliefs. Some of those surveyed wanted to ban the Bible, while others wanted the Koran banned, others wanted any books banned that supported the ideas of creationism, and still others wanted to ban atheist texts. Some critics have argued that the wording of the survey was confusing, which could have added to inflated numbers. “We thought it would be helpful to ask questions that would try to draw people out a little bit. You say that you are in favor of banning any kind of book—well what about…The Great Gatsby? How do you feel about The Diary of Anne Frank? Or Beloved?… Who knows what someone has in mind when they’re answering that question? A terrorist how-to guide? Are they thinking literature?” Peter Hart of the National Coalition Against Censorship said.